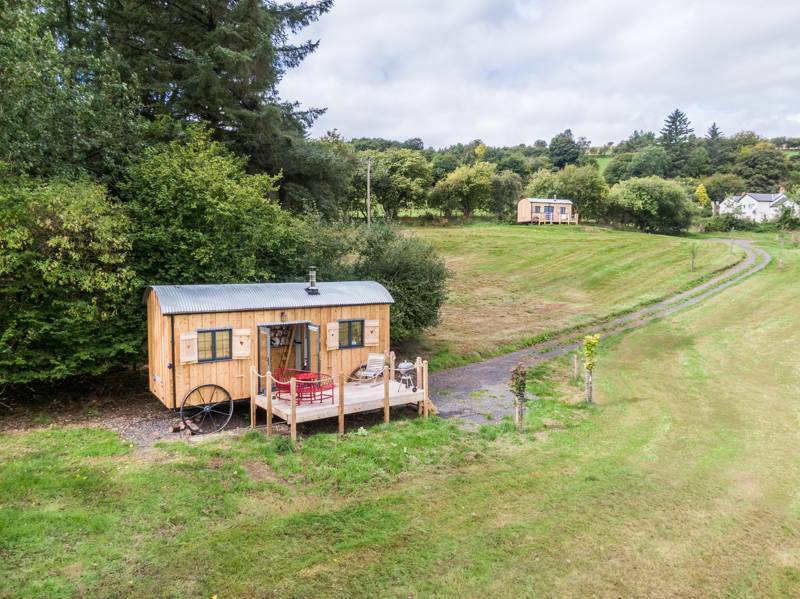 Crai Valley Glamping is set on a 330 acre organic valley in the Brecon Beacons scenic countryside allowing guests to unwind and relax and simply enjoy the natural beauty and views of the surrounding landscape. 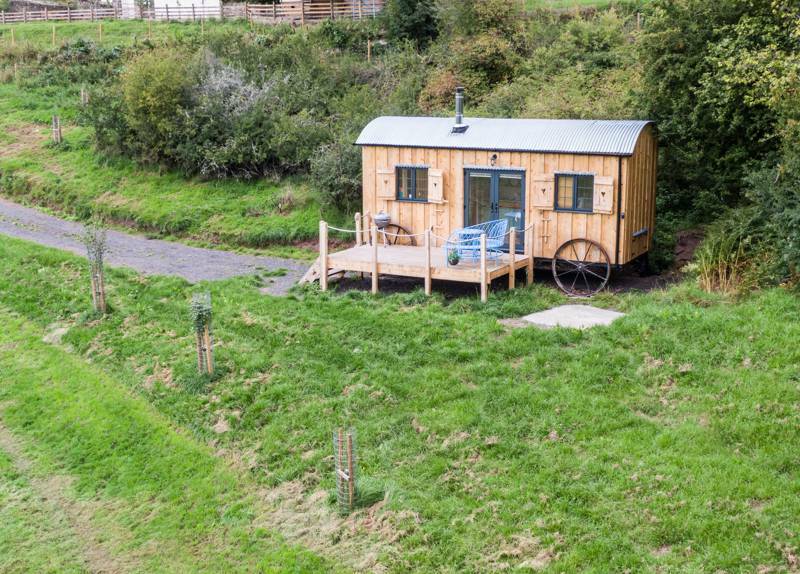 The River Crai runs at the bottom of the meadow where the Shepherd huts are located bringing all kinds of wildlife. Try out some trout fishing or step across the stepping stones in the river and explore a secret island where you would be able to have a picnic or simply escape from it all with a blanket and a good novel. 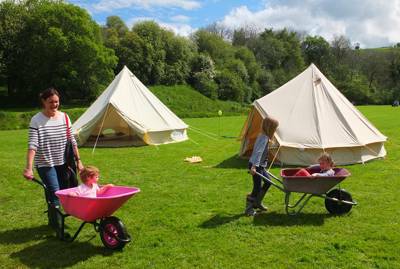 For latest availability and best prices for Onnenfawr Glamping, please use the Date Search above. 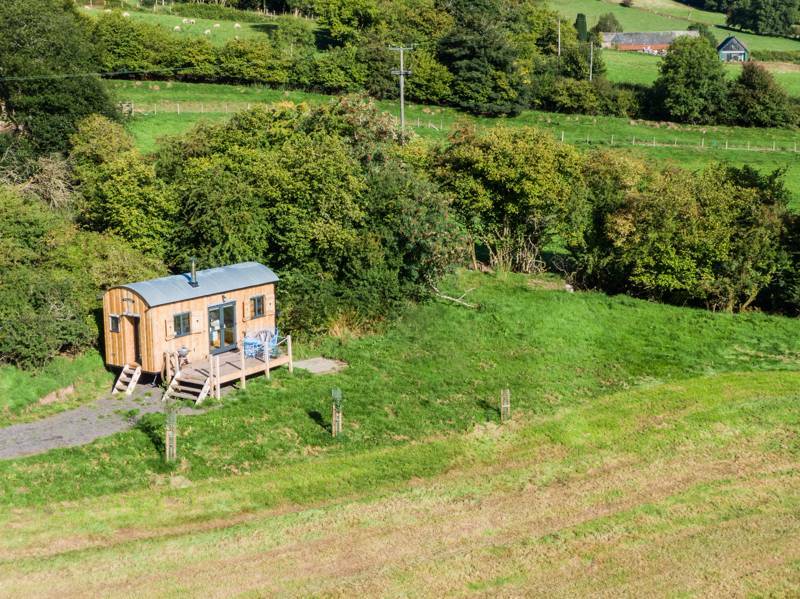 Crai Valley Glamping is within the Brecon Beacons Dark Sky Reserve, so one thing you must spend time doing while you’re here is simply admiring the starry night sky. There’s also a magnificent underworld to explore, though. Trek beneath the earth at the Day y Ogof Show Caves (01639 730284) 6 miles away. Here the River Llynfell has carved a magnificent cave network – alongside a few more hammed-up visitor attractions, such as a dinosaur park with over 200 ‘life-sized’ dinosaurs and a kids play area. The museum provides some fascinating background on the discovery of the caves and there is a decent café. It’s only a tad further to Craig yr Nos Country Park, with vast riverside grounds to explore and an 1840s gothic castle, plus Pentre Riding Stables (01639 730639) just next door. Henrhyd and Pont Neath Fechan Waterfalls (12 miles; 01874 625515) are a particular Brecon Beacons highlight, while a stop in Brecon itself is a must – visit the Brecon Cathedral (01874 623857), the War Memorial Museum (01874 613310), Brecon Canal or enjoy a relaxing afternoon at Brecon promenade. Follow the 3-mile footpath over the hill to the Tanners Arms (01874638032) in Defynnog or the Usk & Railway Inn (01874 636101), a jot further in Sennybridge. 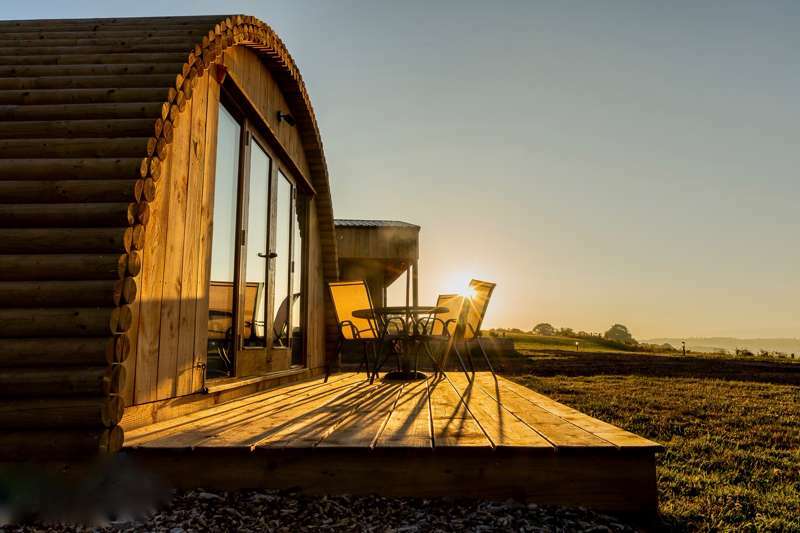 By car, meanwhile, you can drive to The Tair Bull (01874 622600) – an excellent country inn that is owned by the very same folk that run the glamping site! It is a lovely traditional bar and restaurant in the village of Libanus, around 10 miles away. Include a meal here into a day of walking up to the famous Penyfan mountain. It’s got a great little garden too. 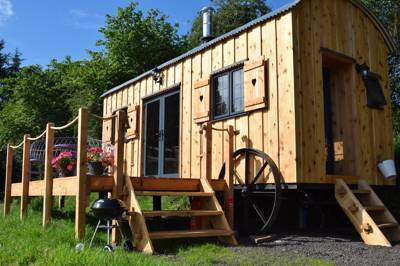 3 shepherd’s hut (each sleeping up to 4 people) in a riverside field.